There are far more people who love and respect children than who prey upon them. But if this is so, why aren't we winning the battle against sexual abuse? The stories of children who have been sexually abused, which once shocked us, have become almost commonplace in recent years. Much attention is now being given to the stories of adults who, it turned out, may have been wrongly accused of sexually abusing children. 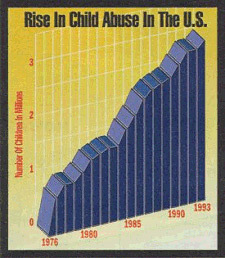 Are we in danger of once again denying the reality of the sexual abuse of children in America? Andrew Vachss—an advocate for abused children and an author, most recently of the novel "False Allegations"—warns us not to lose sight of what matters most: our kids. Some people will tell you that there was no such thing as child sexual abuse a few short decades ago—the "good old days." And if you go to the files and read the old newspapers, you might well believe them. Unless you were a victim, now grown to adulthood. Then the media "discovered" child abuse. Like a pendulum, press coverage swung from one extreme to the other. From being reported so rarely that many doubted its very existence, child abuse became such a frequent subject of coverage that rarely a day went by without new accounts of horrors. Now the media spotlight has been turned on defendants who maintain that they have been falsely accused of sexually abusing children—and the media backlash is so strong that you might well believe that we are in the midst of a modern–day Salem witch hunt. Here's the truth: The battle against child sexual abuse is no "witch hunt." In Salem, there were no witches. In 20th–century America, sexual predators do exist—in alarming numbers. Blaming the media won't make the problem go away. The media didn't invent child sexual abuse, and it can't make it disappear. Nor will our collective wishing make it do so. In fact, taking the ostrich approach actually benefits predators. Ignorance helps them to multiply, and cowardice makes them strong. There are far more people who love and respect children than there are those who prey upon them. But if that is so, why aren–t we winning this battle? Because, with all the media muddle surrounding child abuse, we are losing confidence in our collective ability to find out the truth. How do we learn that truth? How do we protect our children? A child abuse case is never a level playing field. It is never a fair fight. Why? What is so special about children that we treat these cases differently from other vicious crimes? 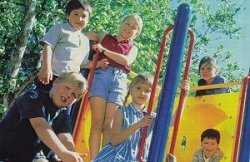 Is it true that children's "memories" are different from those of adults? That children are easily "brainwashed" or cannot distinguish between truth and fantasy? Or is it that children are perceived as property, as lesser citizens, because of their age? Do we fear the inadequacy of their memories—or the truth of them? 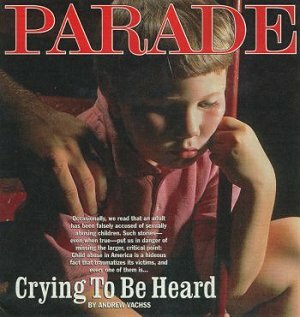 I have never yet met an abused child (of whatever age) who was not crying to be heard and to be believed, to be validated and (eventually) assured that there was nothing "special" about him or her that brought on the abuse—that the child was simply a "parent's" (or other predator's) target of opportunity. Child abuse cases are different, in part because the stakes are so much higher. If an adult is the victim of a crime, even if the defendant is acquitted, the adult is as "free" as the perpetrator. But in a child abuse case, the consequences of an improper acquittal are often that the victim is returned to the abuser. The major difference between child abuse cases and all others is this: Those who make the decisions—be they judges, juries, social workers, police officers or the general public—too often act as though the "issue" were on trial, not the facts. But child sexual abuse is not an "issue," like capital punishment or abortion or gun control. Child abuse is a fact—a hideous, foul fact that traumatizes our culture just as it traumatizes individual victims. If we want the truth about child sexual abuse, there is just one thing we can do: Look only at the facts of each individual case. It is not a question of "believing" children, or of "believing" in "witch hunts" or "false allegations." It is, and always will be, a question of fact–finding. It sounds cold–blooded to say this, but a wrongful conviction of child abuse can be reversed. The damage from a wrongful acquittal probably cannot. Unless and until we learn to judge, case–by–case—unless and until we work to create a climate in which the facts will be found—countless victims will continue to be doomed. Protecting one's own children is a biological imperative—it is how our species sustains itself. When an animal fails to protect its babies, they do not survive. And so the negative characteristics of that unprotective parent are not carried forth into new generations. But it doesn't work that way with human beings. Our minds have evolved ways to sustain ourselves even when we ignore our biological imperatives. Children can no longer rely on our "instincts" for protection. Only our actions can achieve that goal. For every parent who violates the sacred trust every child represents, there are thousands committed not only to protecting their children but also to protecting all children. That desire is our highest calling. The actual expression of that desire defines the character of each individual. And we can only truly express such a desire with behavior—;rhetoric won't get the job done. Healthy, happy, productive children—children who evoke their maximum potential—are no accident. They are not some fortuitous result of randomly scattering seeds on unnourishing ground. No, such children are always a harvested blessing, deeply dependent on climate and care. We create that climate and that care; and its most precious, indispensable element is safety. Calling children "our most precious resource" is easy. Treating them as such is the key to our species. More cases of child sexual abuse are never reported than are ever tried. Yes, some people are wrongfully convicted. And we must do our best to see that this never happens and to rectify it when it does. But no child benefits from being forced to carry the banner of a false allegation. Being made to do so is, in itself, a pernicious form of child abuse. And, every day, innocent victims are being ignored even when their cases do come to court. We need to pay what it costs to find the truth, because we can't afford what it costs not to. The best—indeed, the only—way to protect our children is to increase radically the resources available. We need therapy for all children who are the subject of child abuse allegations, regardless of any jury voting "guilty" or "not guilty." We need better investigations. That means better investigators. And that means comprehensive training. It means adequate pay, competent supervision and full accountability. It means the use of standardized protocols, so that the outcome depends on the facts, not on the individual perspective of the investigator. We need an objective "one–stop shop" system to avoid the confusion that results from subjecting a child to a series of interviews. All cases would be referred to a multidisciplinary resource center which has no vested interest in the outcome and which has the sole job of finding the facts. No party to the case—be it prosecution, defense, a parent in a custody battle or otherwise—would be permitted to control the investigation. A full and complete record should be made available to all once it is finished. For children especially, investigative interviewing to determine the likelihood of sexual abuse is an inherently intrusive and often traumatic experience. Because they want the pain to stop, many children go "mute" or "stop remembering," making it appear that they are changing their account of the events. And any such disparities can easily be exploited. We need a system in which only wrongdoers fear the consequences. It took an informed and enraged nation to pass child labor laws. It will take no less to protect children from an even more horrific societal crime. We humans have been on the planet a long time. If we forget where we come from, if we forget our own children, then our evolution is not "in progress"—it is finished. Andrew Vachss is an attorney in New York City whose only clients are children. He is the author of the just–released novel False Allegations (Alfred A. Knopf).